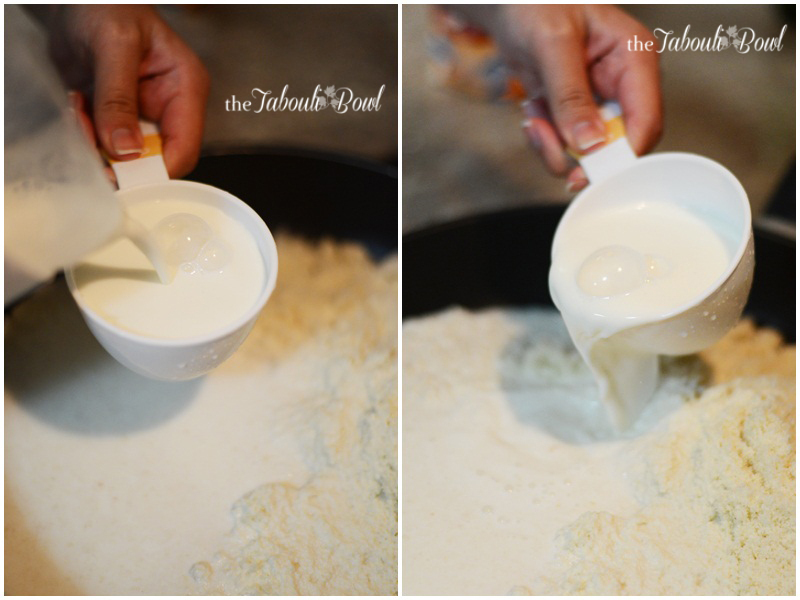 Kashta is a basic filling for desserts that come from the Arabic world. If you do live in the Middle East you could buy this cream ready made from a local grocer, or even canned! The canned version is a thinner, and doesn’t at all resemble the good stuff. Home made is always the best way, and this recipe can be made super fast and stores well in the fridge. 1. 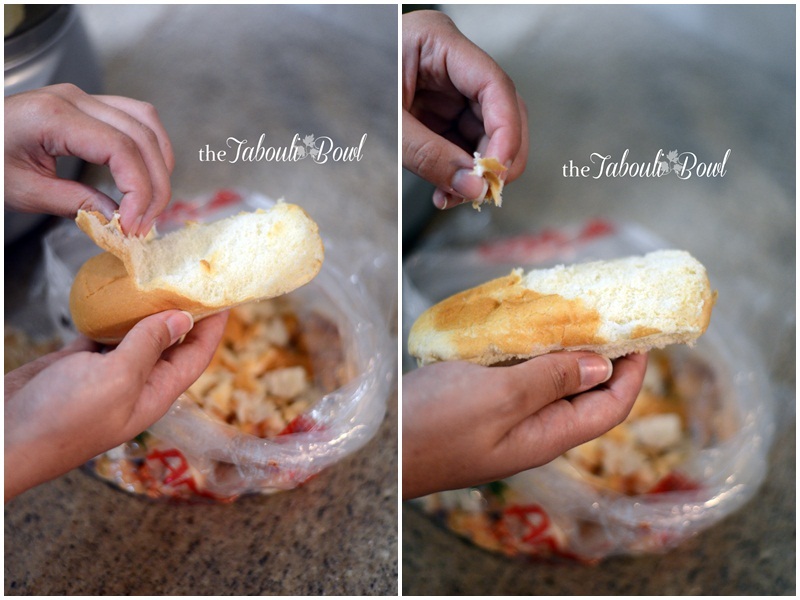 Peel bread to ensure no browned parts or crust are left. 2. 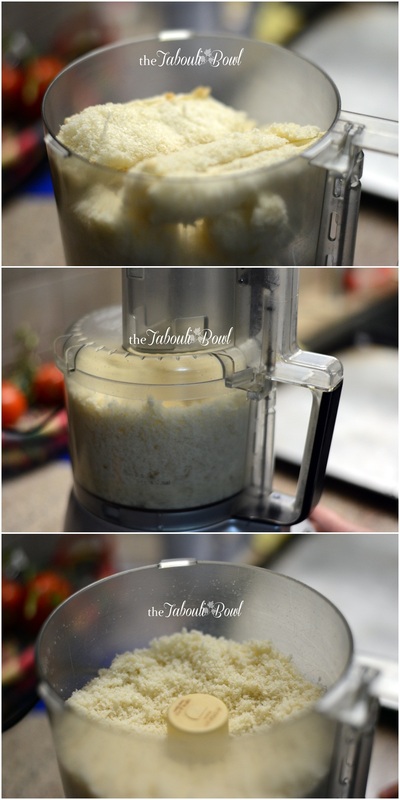 Blend bread in food processor until fine. 3. 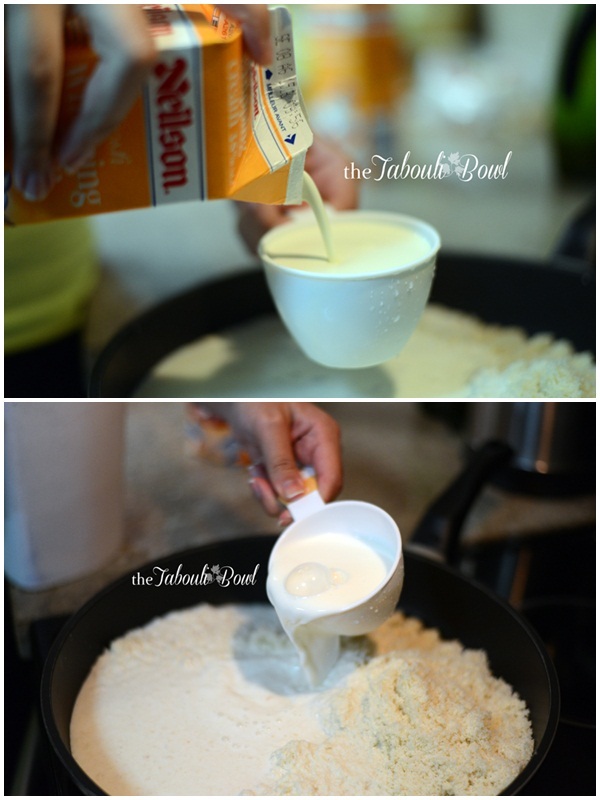 Add bread crumbs to deep sauce pan followed by the milk and cream. 4. 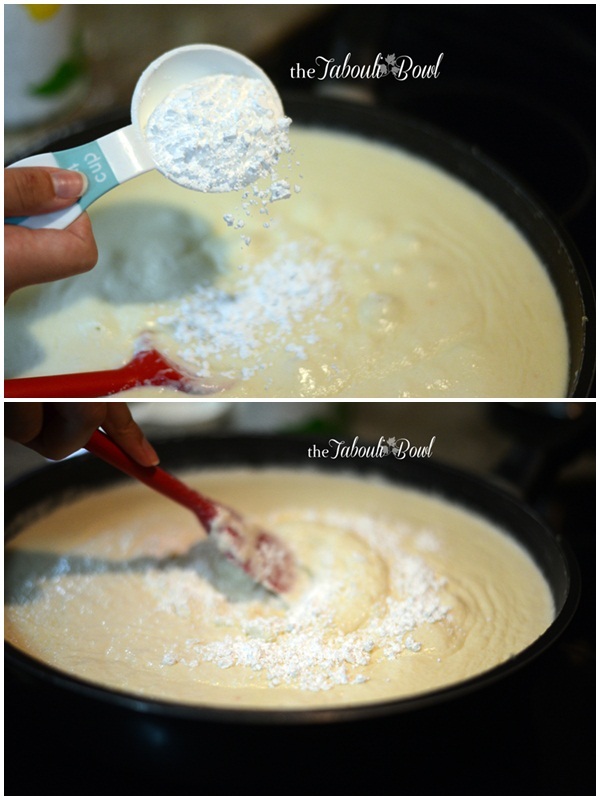 Bring to a boil on high heat while frequently stirring then reduce to medium heat and allow to thicken while consistently stirring, once thickened add the icing sugar. 5. 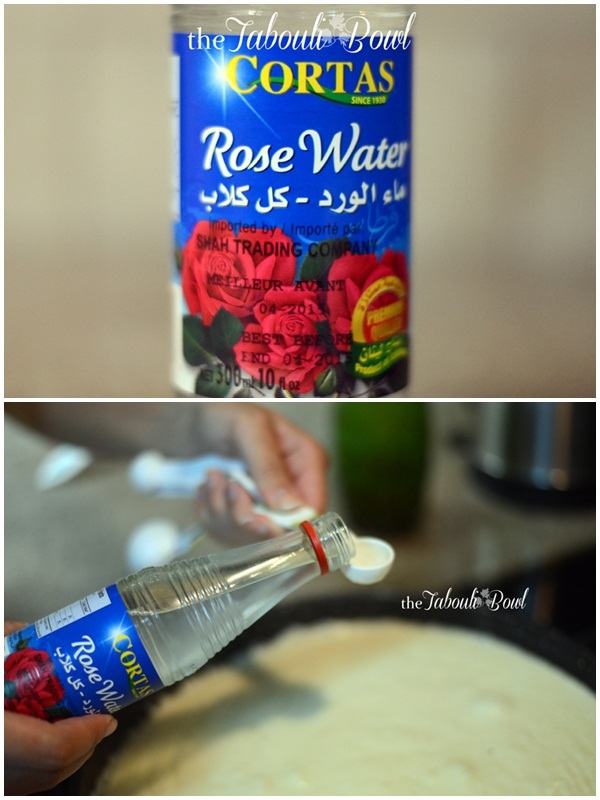 Now that the Kashta is thick, add rose and blossom water, mix and remove from heat. 6. Allow to cool before refrigerating (stir occasionally while cooling so a dry layer does not form on top). It can be stored, covered in the fridge for up to 1 week.